The Dexter F5S 09060 produce knife easily chops, dices, and slices through fruits and vegetables. 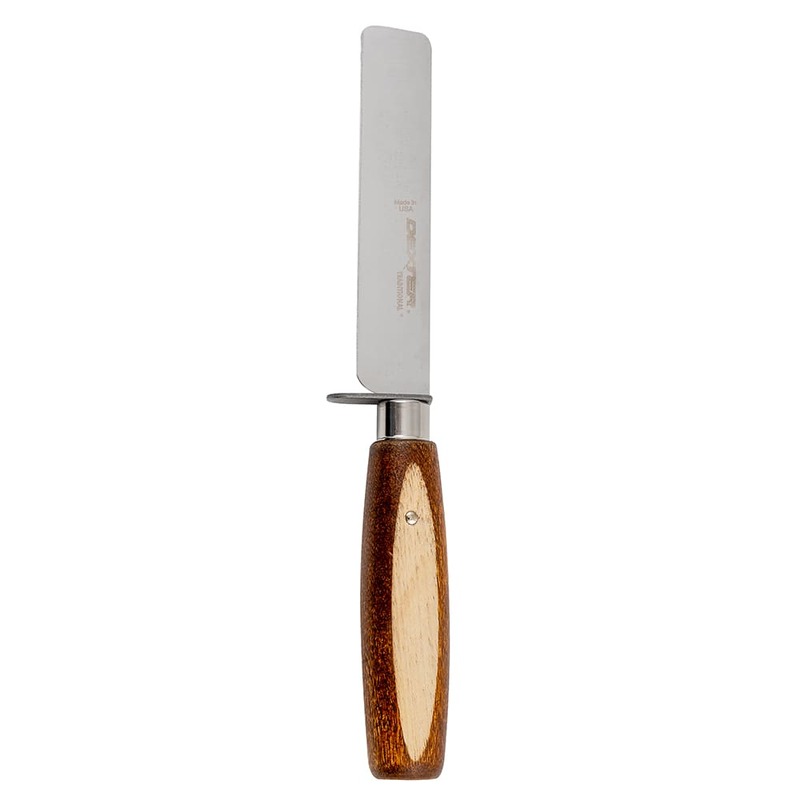 Ground and honed, the edge of the blade is flexible and sharp. Its high-carbon steel construction is strong for commercial use and resists corrosion. A metal guard between the blade and handle prevents the chef's fingers from getting cut during use. The blade is connected to a hardwood handle, creating a beautiful appearance. 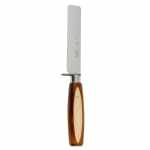 The Dexter F5S 09060 produce knife's handle is slightly formed to make it comfortable for long periods of use.